Between keeping traditions—and trying new things. Between giving things away—and finding your mail box full of new things! I frequently am giving away a ball or two (or ten!) of yarn to friends—Yarns I like—but not as much as when I bought it. 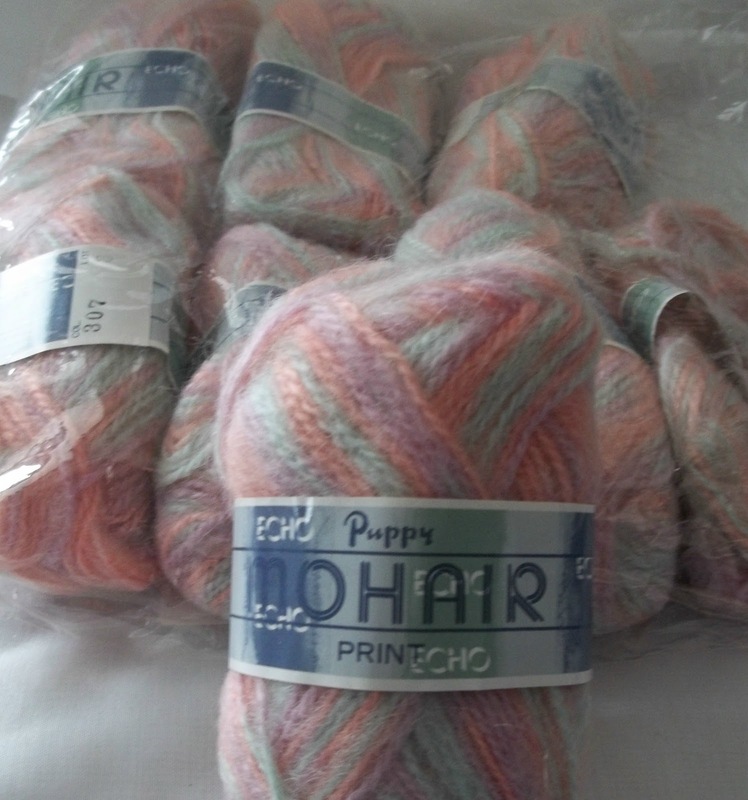 Yarn that I bought one skein of—to try.. and now I am just not interested. Yarns that were shared with me... and well I just don't know what to do with them. They need new homes—where someone will find a good use for them. Still my mental queue is filled with ideas for knitting cowls, and hats and scarves and fingerless gloves; And sweaters, and other stuff! First --I think (after I finish my current projects) —some fingerless gloves. 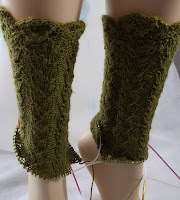 I want to make some green ones—an olive sort of green. 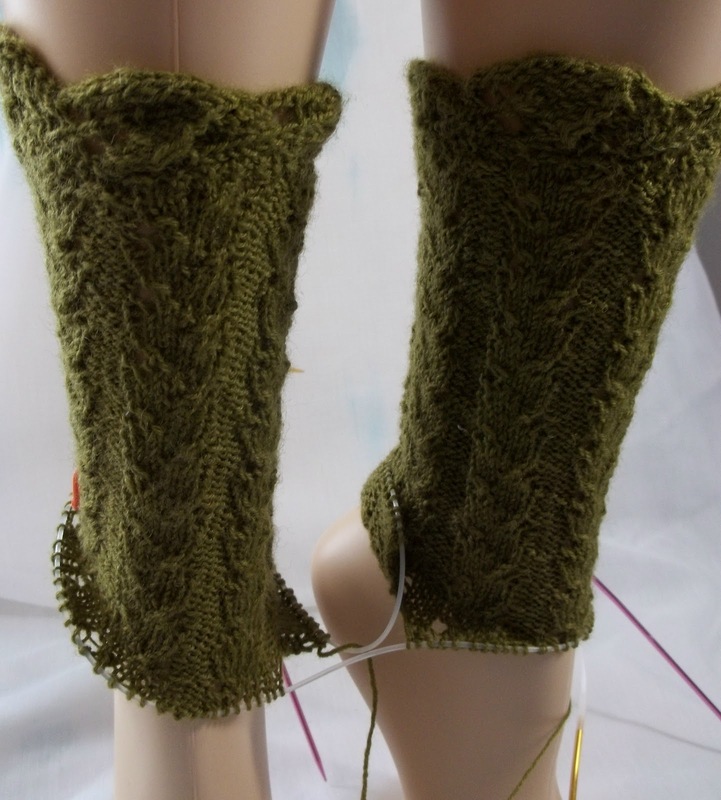 With ever round, I like my green leafy ribbed socks better and better.. I started the heel flap last night—but before that, I stretched them out on my arm to measure the length—and I so loved them. This leafy rib is perfect for some fingerless gloves. The ribbed texture held the fabric snug against my arm—and I just loved how they looked. It's really a waste to have the pretty border and pretty pattern on my feet—The same pattern would be perfect for my hands and arms—where everyone could see it! Not that I don't deserve to have pretty socks—but.. I know I have some smooth green DK wool (both Lion Brand superwash DK and some of ACMoore's Kashmir—also a DK but not superwash--(though the Kashmir is 100% wool merino and not cashmere) Both are left overs from previous projects and while there is enough for fingerless gloves there isn't enough for much else. -I know I want long ones-- I just hope I have enough yarn! Then there is this LLH wool—well-- not wool but a soft and cozy blend of alpaca, linen, wool and nylon blend—it would be perfect for a cowl—and go great with some green fingerless gloves. 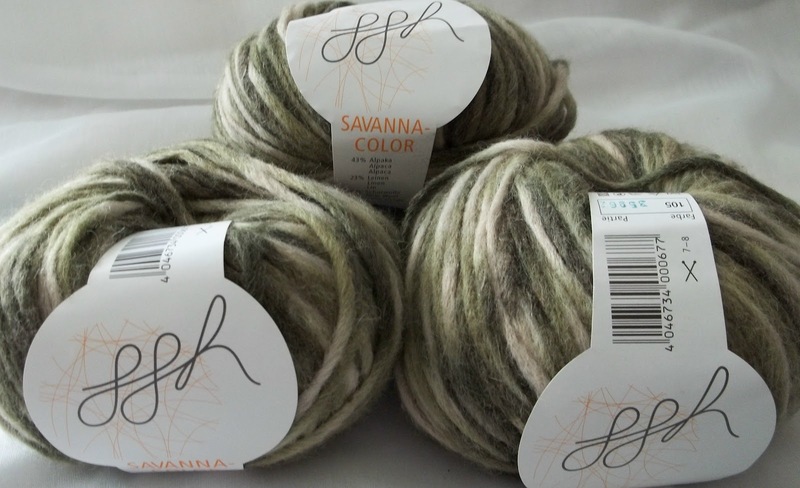 The Savanna color way seems to demand something ribbed and grass like. A different ribbed pattern than the fingerless gloves. Other single skein green (just 50g)--in a different green again –but similar, green –but a bit drab and olivey green and a bit heavier (not quite worsted weight but close) --could be come a hat—A more leafy design there... All to coordinate—but not to matchy-matchy. My diamond brocade vest is still resting—but I have been busy—thinking about what I want to do with it!